If you’ve ever been in a classroom, you’ve likely been asked about your preferred “learning style.” In general, there are three main types of “learners”: the visual learner, the auditory learner, and the tactile-kinesthetic learner. In a normal classroom setting, it’s almost impossible to cater to all three learning styles; however, in an elearning setting, it’s completely achievable. A visual learner is an individual who, in general, can remember an impressive 75% of what they read or see. Graphs, charts, and other visual models are useful for the visual learner. In a well- designed elearning course, nearly every portion of the lesson will have some sort of visual cue. Whether it’s in the form of a list of facts, a chart, a video or a graphical representation of a concept, cues found in these course aid in a visual learner’s understanding. Auditory learners can remember approximately 75% of what they hear, most commonly in a lecture setting. Where the visual cues in an elearning course may not aid an auditory learner’s understanding, the corresponding narration that accompanies the vast majority of visual cues in a course proves useful. Both auditory and visual learners might be satisfied in a traditional lecture setting, as audible and visual cues are nearly always given. However, a tactile-kinesthetic learner runs into trouble in this environment. Tactile-kinesthetic learners remember lessons best when they have a chance to interact with the material, and carry out actual tasks. This is where elearning shines. A well-designed elearning course will not only have audible and visual cues, but also some sort of action that the student must carry out to move forward. This might be clicking through several options, completing a worksheet, or completing a short, multiple choice assessment midway through the course or after it is completed. Another common method to increase interactiveness of a course is “branching,” wherein the flow and path of the course changes depending on how a user answers questions in the course material. 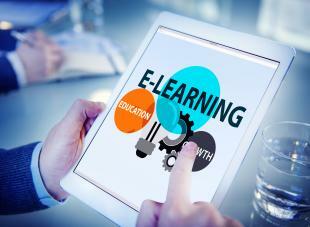 Where traditional lectures fail, elearning courses pass with flying colors. eLearning courses, such as those found on the OpenSesame website, appeal to visual, auditory, and tactile-kinesthetic learners alike. These courses are much more likely to make a lasting impact on an individual’s education than other traditional forms of education. If you ever find yourself wishing that a lesson would be taught in a different way, try elearning– it might change how you learn forever.